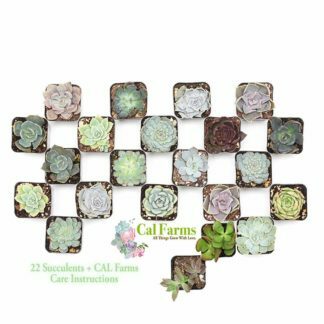 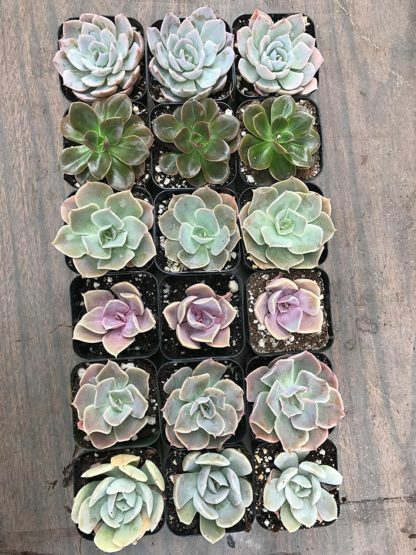 CARE: All CAL Farms orders of Succulents come with a how-to care for your succulents. 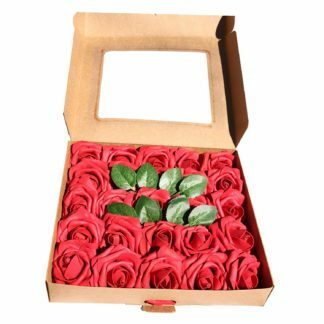 You can also contact us and we’ll be happy to assist with ideas. 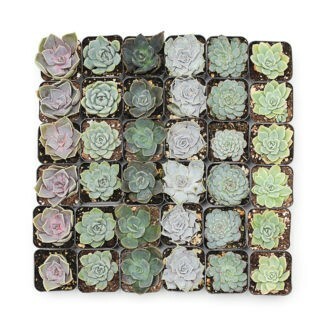 WHAT YOU GET: Succulents make the perfect wedding or event gift because people love them. 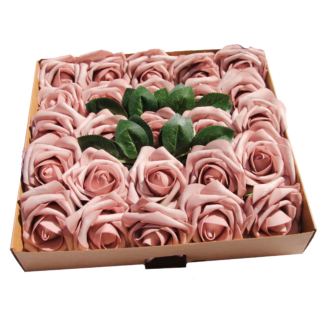 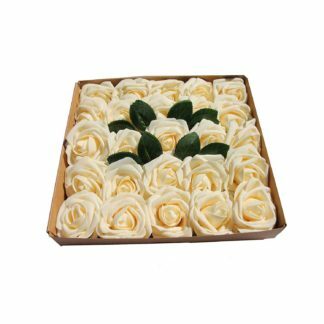 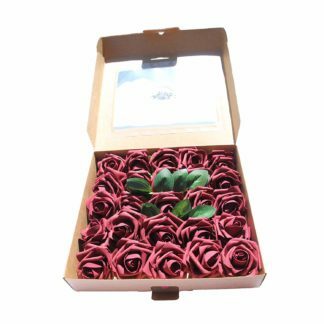 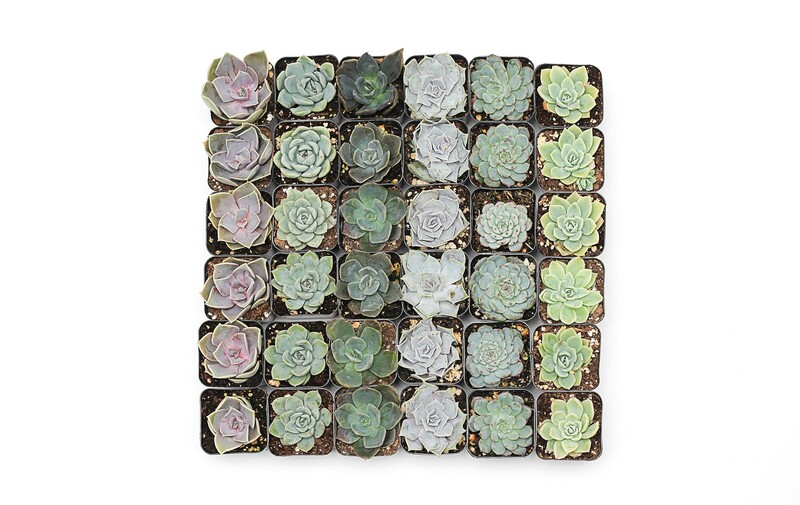 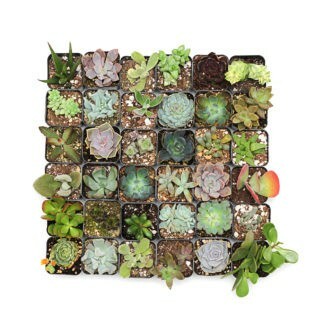 This collection is for our 2″ inch gorgeous ROSETTE succulents. 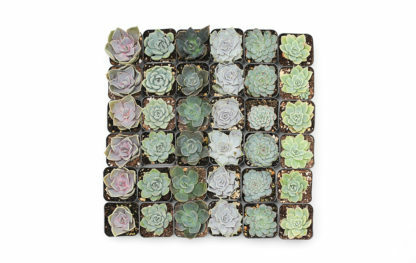 BENEFITS: Easy to grow, Save Water, succulents look gorgeous. 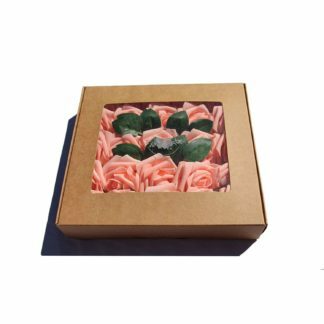 Some packages may arrive tossed around because we don’t have control of the shipping companies but we do label them with caution stickers. 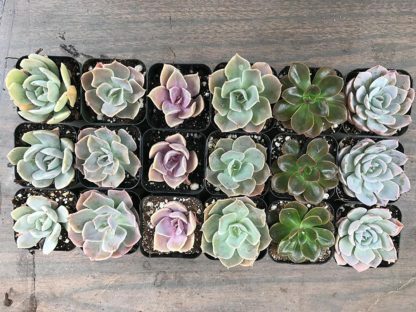 The good news is that the succulents are resilient because they don’t require much water or maintenance. 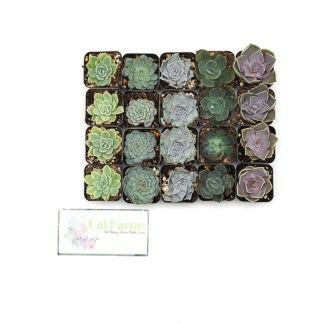 You can replant them in soil and they will continue to grow.